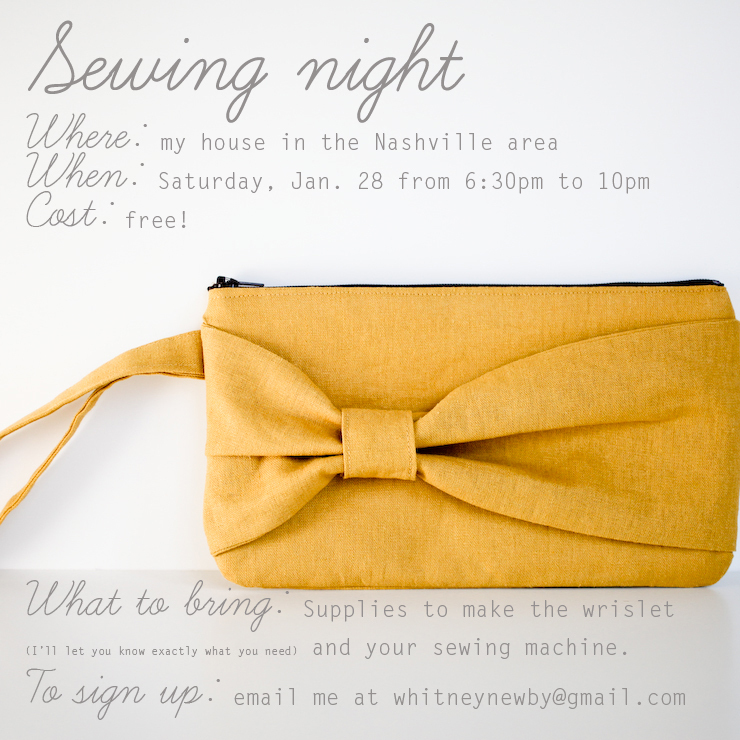 It's time for another sewing night! 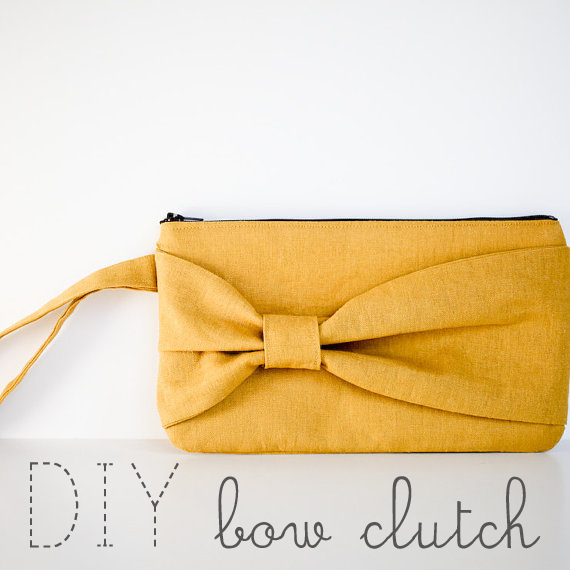 We'll be making this cute little wristlet (it measures approximately 9" x 5"). If you have access to a sewing machine and know how to thread it and sew a straight line, that's all you need to know! This one does involve a zipper, but it'll be easy to learn how to put it in. And you can get creative with what colors and fabrics you want to use for the outside and the inside lining. Please email me if you're planning to come so I can email you back with specifics (like directions and how much fabric to buy). And for those who live super far away and can't make it, I'll post a tutorial on the blog soon after our sewing night so you can have your own little sewing night and make one for yourself. Sound good? Aw I wish I lived closer to you! 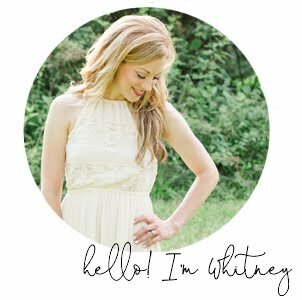 I would love to meet you in person. And I just got a sewing machine so maybe this will be one of the first projects I try! Oh my gosh, that sounds like so much fun! Wish Los Angeles was a l i t t l e closer to Nashville :) I'll look forward to the tutorial ♥ Have fun! I wish you could all come!! Oi, that is an adorable little bag! Wish I could be there! Looking forward to the tutorial...wish I was able to be there for the real thing! Um I'm obsessed with that clutch. You are the best. oh this sounds like so much fun. if only I lived near nashville or had a sewing machine. so so so cute! loving what you guys are gonna make! def wish i could come! !